Fermentation and refinement: in stainless steel and glass concrete vats with temperature controlled through cooling plates and jackets. Organoleptic characteristics: (14% vol.) fruit-forward, spicy and floral. Red berry fruits notes are enriched by slight floral and spicy hints.Warm, soft on the palate with great structure and round tannins. Service: serve at 18°C (64,4° F) in medium crystal wine glasses. Bottles should be kept in a horizontal position, far light sources and protected both extremes and changes in temperature. Food pairings: an excellent wine suited to all courses, particularly vegetables and cereals soups, salami, cheese and first and second courses featuring red meat. "Decanter World Wine Awards" has rated the wine "Ciacci Piccolomini d'Aragona Rosso di Montalcino, Tuscany, Italy" from the vintage 2014 on 01.01.2017 with 90 of 100 points. "Vinous Antonio Galloni" has rated the wine "Ciacci Piccolomini d'Aragona Rosso di Montalcino, Tuscany, Italy" from the vintage 2014 on 01.02.2016 with 89 of 100 points. "Wine Enthusiast" has rated the wine "Ciacci Piccolomini d'Aragona Rosso di Montalcino, Tuscany, Italy" from the vintage 2014 on 11.01.2016 with 89 of 100 points. "Wine Spectator" has rated the wine "Ciacci Piccolomini d'Aragona Rosso di Montalcino, Tuscany, Italy" from the vintage 2013 on 30.09.2015 with 90 of 100 points. "Vinous Antonio Galloni" has rated the wine "Ciacci Piccolomini d'Aragona Rosso di Montalcino, Tuscany, Italy" from the vintage 2013 on 01.02.2015 with 90 of 100 points. "Wine Enthusiast" has rated the wine "Ciacci Piccolomini d'Aragona Rosso di Montalcino, Tuscany, Italy" from the vintage 2012 on 11.01.2014 with 89 of 100 points. "Vinous Antonio Galloni" has rated the wine "Ciacci Piccolomini d'Aragona Rosso di Montalcino, Tuscany, Italy" from the vintage 2011 on 01.09.2013 with 88 of 100 points. "Vinous Antonio Galloni" has rated the wine "Ciacci Piccolomini d'Aragona Rosso di Montalcino, Tuscany, Italy" from the vintage 2010 on 01.04.2012 with 91 of 100 points. "Wine Spectator" has rated the wine "Ciacci Piccolomini d'Aragona Rosso di Montalcino, Tuscany, Italy" from the vintage 2009 on 30.09.2011 with 88 of 100 points. "Vinous Antonio Galloni" has rated the wine "Ciacci Piccolomini d'Aragona Rosso di Montalcino, Tuscany, Italy" from the vintage 2009 on 01.05.2011 with 89 of 100 points. 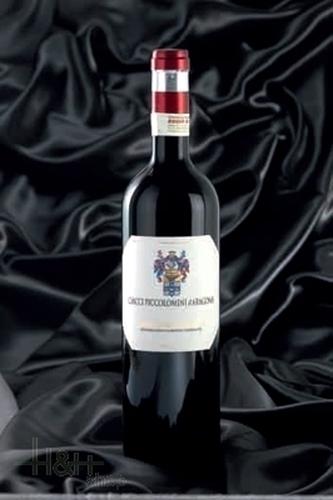 "Vinous Antonio Galloni" has rated the wine "Ciacci Piccolomini d'Aragona Rosso di Montalcino, Tuscany, Italy" from the vintage 2008 on 01.04.2010 with 89 of 100 points. "Wine Enthusiast" has rated the wine "Ciacci Piccolomini d'Aragona Rosso di Montalcino, Tuscany, Italy" from the vintage 2008 on 08.01.2010 with 86 of 100 points. "Wine Spectator" has rated the wine "Ciacci Piccolomini d'Aragona Rosso di Montalcino, Tuscany, Italy" from the vintage 2007 on 15.10.2009 with 84 of 100 points. "Wine Spectator" has rated the wine "Ciacci Piccolomini d'Aragona Rosso di Montalcino, Tuscany, Italy" from the vintage 2006 on 15.10.2008 with 86 of 100 points. "Wine Spectator" has rated the wine "Ciacci Piccolomini d'Aragona Rosso di Montalcino, Tuscany, Italy" from the vintage 2004 on 31.10.2006 with 88 of 100 points. "Wine Spectator" has rated the wine "Ciacci Piccolomini d'Aragona Rosso di Montalcino, Tuscany, Italy" from the vintage 2003 on 31.10.2005 with 82 of 100 points. "Wine Spectator" has rated the wine "Ciacci Piccolomini d'Aragona Rosso di Montalcino, Tuscany, Italy" from the vintage 1992 on 31.10.1994 with 80 of 100 points. "CellarTracker" has rated the wine "Ciacci Piccolomini d'Aragona Rosso di Montalcino, Tuscany, Italy" from the vintage 2007 with 90 of 100 points. "CellarTracker" has rated the wine "Ciacci Piccolomini d'Aragona Rosso di Montalcino, Tuscany, Italy" from the vintage 2013 with 90 of 100 points. "Stephen Tanzer" has rated the wine "Ciacci Piccolomini d'Aragona Rosso di Montalcino, Tuscany, Italy" from the vintage 2007 with 90 of 100 points. "The Wine Front" has rated the wine "Ciacci Piccolomini d'Aragona Rosso di Montalcino, Tuscany, Italy" from the vintage 2006 with 90 of 100 points. 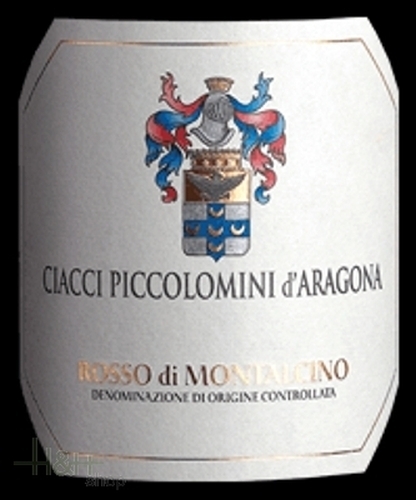 "CellarTracker" has rated the wine "Ciacci Piccolomini d'Aragona Rosso di Montalcino, Tuscany, Italy" from the vintage 2009 with 89 of 100 points.